Gordon Wood is the Alva O. Way University professor and professor of History at Brown University. He received his BA from Tufts University and his PhD from Harvard University. He taught at Harvard University and the University of Michigan before joining the faculty at Brown in 1969. He is the author of many works, including The Creation of the American Republic, 1776-1787 (University of North Carolina, 1969), which won the Bancroft Prize and the John H. Dunning Prize; The Radicalism of the American Revolution (Alfred A. Knopf, 1992), which won the Pulitzer Prize for History and the Ralph Waldo Emerson Prize in 1993; The Americanization of Benjamin Franklin (Penguin, 2004), which was awarded the Julia Ward Howe Prize by the Boston Authors Club in 2005. His most recent book is Revolutionary Characters: What Made the Founders Different (Penguin Press, 2006). 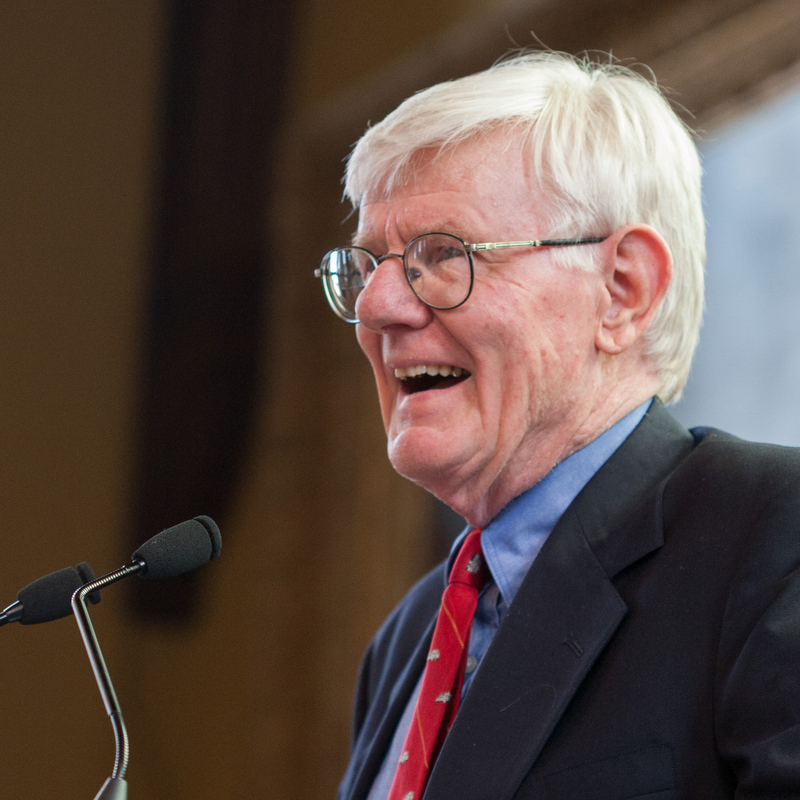 Wood served as a consultant to the National Constitution Center and to the US Capitol renovation project and continues to serve on the Board of Trustees for Colonial Williamsburg. He lectures widely in the United States for students, teachers, and the general public. How democratic was the United States in its early years? Why did Federalists and Anti-Federalists disagree about representation? How did the relationship between states develop after the War of Independence? How was the American Revolution more radical than the founders intended? Why did people in the United States believe their revolution was so influential worldwide? How did the War of Independence affect people’s views of slavery? Why has the U.S. Constitution endured for more than 200 years?